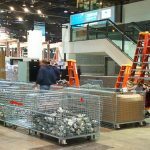 Trade shows require a lot of careful planning – including ensuring that your exhibit arrives in perfect condition. At VOXX, we offer transportation services to ensure everything goes off without a hitch. But if you’re shipping your booth yourself, here are a few things to keep in mind to help prevent theft or damage. Design with a purpose: The size and the scope of your display will determine the cost of shipping, and each extra package will add to your total cost. If you’re using complex banners and high-tech devices, be sure you understand your costs upfront. If budget is an issue, you might want to go lower tech and build a setup that you can easily set up and tear down yourself. Invest in padding: It always pays to use quality shipping materials. Store loose items in smaller containers so they don’t get jostled, and secure bigger items with bungee cords. Use ample padding, such as bubble wrapping and foam, and fill all unused spaces with packing peanuts to cut down on movement and cushion your load. Electronics and other sensitive devices should be stored separately. Be sure to label all parts of your exhibit as fragile. Think about using weather-proof durable custom carrying cases, too. Loading your pallet: To keep your items from shifting, it’s best to put the heaviest boxes on the bottom and the lightest ones on top. We recommend traveling with whatever materials you can to avoid shipping costs and the potential for damage. Once your items have been arranged on the skid, use shrink wrap to secure the shipment. Research your carrier: If you choose to handle shipping yourself, be sure to check the rates and reputations of several companies. Invest in good insurance: From the time they leave their first location until they’re returned or warehoused, your booth items will need to be insured. Most carriers offer insurance, but this is limited and usually only covers liability claims. This protection should be considered supplemental – be sure to get comprehensive insurance from a reputable carrier. Take photos: Before everything is packed up, snap some pictures of your inventory. Insurance claims will be easier to file if you can provide evidence of your display’s appearance while still intact. Pack your things: Take your time as you prep your booth items for shipping. Carefully tuck all legs and arms into their bags without bending, and make sure your materials are properly put away. Give light bulbs a chance to cool, and return things to their carrying cases. To protect against lost items, use shrink wrap. Use labels: Clearly label crates, pallets and boxes with a description of the contents and their destinations. Include your telephone number so others can call you if there is a problem. Fill out appropriate paperwork: Once your gear is packed and ready, you’ll be required to fill out an outbound form to present to the customer service desk. Go over all information, making sure that the billing details and carrier name are correct. The service desk will forward your order to staff who will load it unto the dock to prepare for shipment. 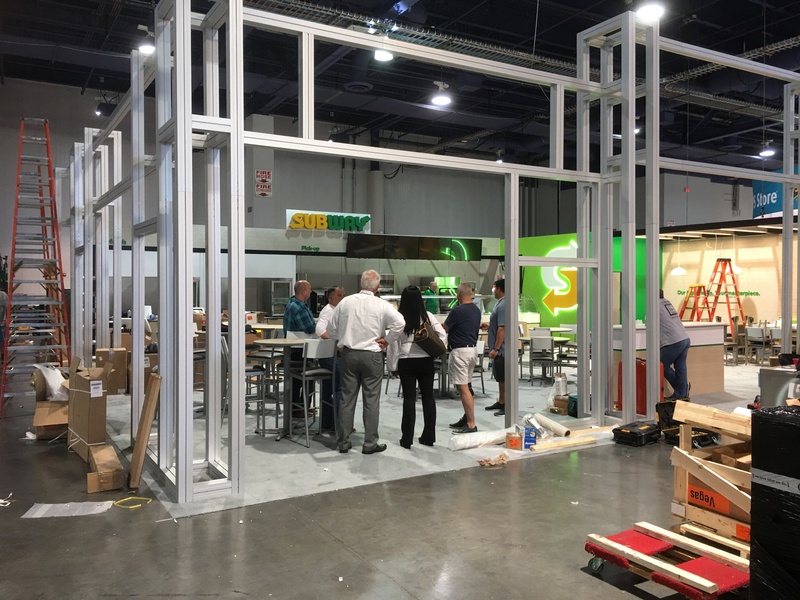 Going to additional locations: If your trade show booth needs to go to other places in quick succession, the best option is to hire VOXX or another reputable company. They’ll be experienced and better equipped to assess your needs and can provide tracking and communication. Record your experience: Write down your impressions and takeaways while they’re fresh. Be sure to compare the reality with your expectations, and the actual cost to your proposed budget. File away copies of invoices and receipts. Have contact information handy: Keep important names and numbers on hand, including that of your onsite representative, the trade show decorator and your general trade show service provider. File claims immediately: Upon arrival, examine your items for evidence of damage and if necessary, contact your insurance company right away. VOXX is here to simplify the entire trade show booth process – including setup, teardown and ensuring your booth arrives on time and in pristine condition. Call our team today.